Home Trending OMG! Which Simi is this? OMG! Which Simi is this? The photo you see is one thing, the video that comes next is another thing entirely. 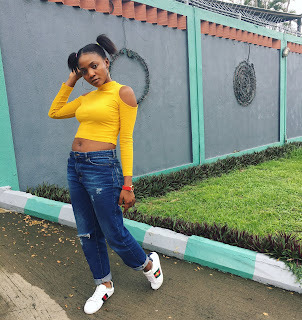 See this video of Simi as she brings out the baby in her and showing off the boy in her. Even I don't understand too!